Are you protected against UV radiation from nail-drying lamps? The amount of ultraviolet radiation produced by a UV nail-drying lamp (we only use LED lamps at Raintree) at a single visit to a nail salon is not a serious concern, according to a new study published in JAMA Dermatology. However, the wattage of nail lamps varies considerably, with different wattage producing different amounts of UVA radiation, and as few as 8 visits using higher-wattage lamps may produce enough UV exposure to cause skin damage. 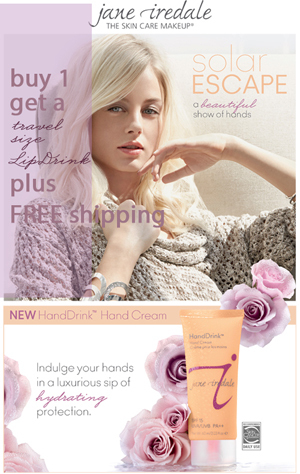 Protect your hands against skin damage and premature aging with jane iredale HandDrink Hand Cream.